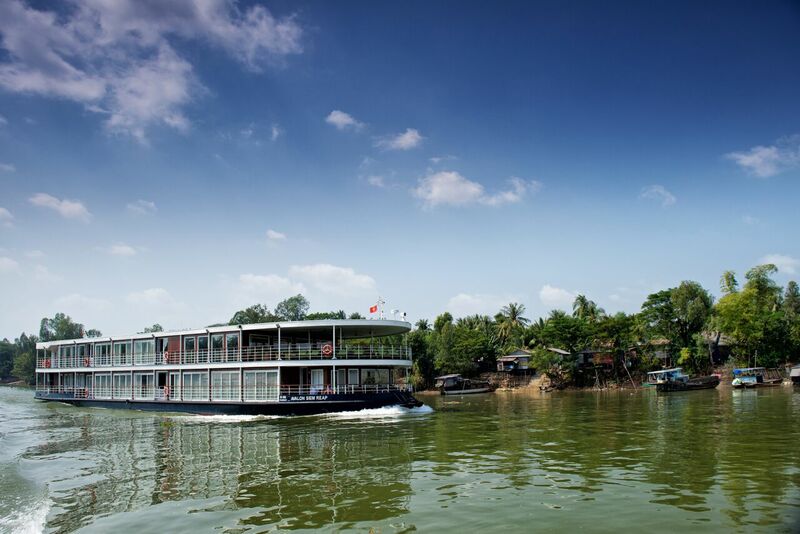 Avalon Waterways has unveiled its first Suite Ship in Asia, the brand new Avalon Siem Reap now sailing the mighty Mekong River through Cambodia and Vietnam. Catering to no more than 36 guests at a time, the 60m ship is based on Avalon’s revolutionary Suite Ship concept pioneered on the rivers of Europe, but is smaller and designed especially for Asian cruising. With the ship’s debut, Avalon Waterways is offering savings of up to $2000 per couple on select cruises aboard Avalon Siem Reap during 2015. Other departures are available with savings of $1000 per couple. Avalon Siem Reap is offered as part of a 12-night itinerary between Siem Reap and Ho Chi Minh City, Fascinating Vietnam, Cambodia & The Mekong River. Now priced from $3326* per person twin share on select departures, the itinerary includes three nights in Siem Reap to explore the spectacular temples of Angkor Wat, seven nights cruising the Mekong River and two nights in Ho Chi Minh City. 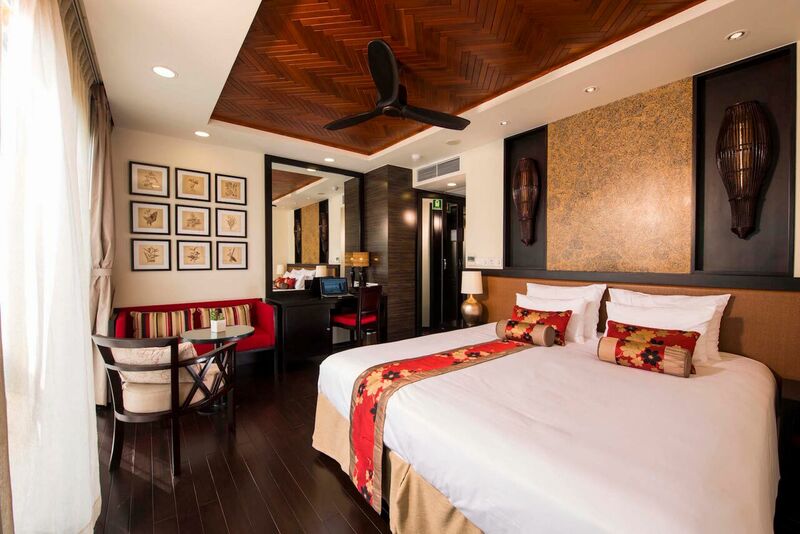 Built by local craftsmen, Avalon Siem Reap has been designed to reflect the character, symbolism and traditions of the regions through which it sails, while at the same time offering travellers the modern features they expect and enjoy. Its 18 air-conditioned Avalon Suites are beautifully fitted in contemporary Asian style and offer 23 square metres of living space. Each features Avalon’s signature open-air balcony with floor-to-ceiling, wall-to-wall panoramic windows that have retractable screen systems and doors that slide open to make the most of the passing scenery. At 60m, Avalon Siem Reap is the only ship in the industry able to cruise all the way between Ho Chi Minh City and Siem Reap, avoiding hours of travel by road. 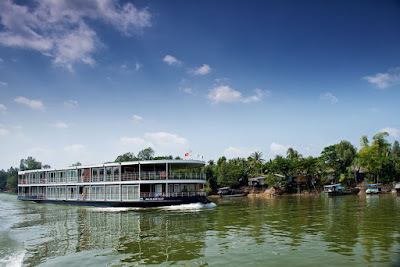 When sailing into Ho Chi Minh harbour, Avalon guests are just minutes away from their hotel. Avalon Siem Reap will be joined later this year by a second new Asian ship, Avalon Myanmar. With a similar size and design, Avalon Myanmar will operate Avalon’s first cruises on the Irrawaddy River, offering a 13-night itinerary from Yangon, Golden Myanmar & The Alluring Irrawaddy. *Price includes discount, subject to availability and conditions. Offer applies to select departures and is available until March 24, 2015, or until sold out.